The unique function of libraries is to acquire, organize, offer for use and preserve available material irrespective of the form in which it is packaged (print, cassette, CD-ROM, digital / electronic, network form,) in such a way that, when & where it is needed, it can be found and put to use. Libraries are especially important now when the whole idea of education is stressing more and more independent learning and acting"
Books and Library resources play pivotal role in sharing, dissemination and creating of knowledge. The 21st Libraries are providing many services to the students, faculty and general public. The Library building of the CUSIT in the main Campus has been designed in a very attractive and unique way. The rich collection of books, research journals , magazine and newspapers, give students and faculty a unique opportunity to read these resources for developing sound theoretical and conceptual background. 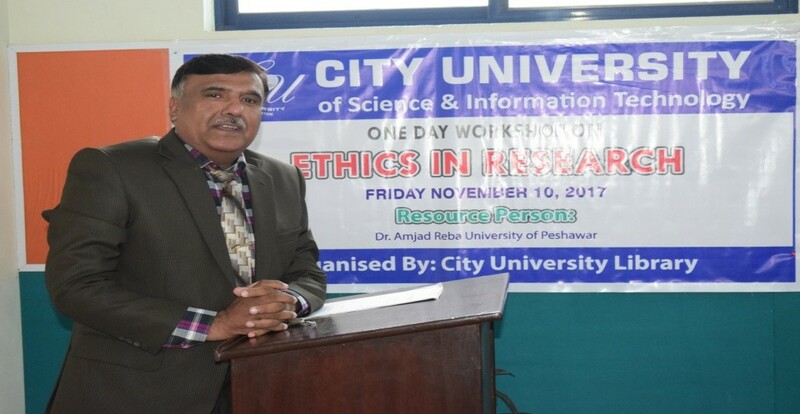 Every year huge investment is being made for acquiring and dissemination of these library resources, but its effective utilization can only be guaranteed, if the faculty members and students make it their holistic responsibility to take benefit of the library resources.